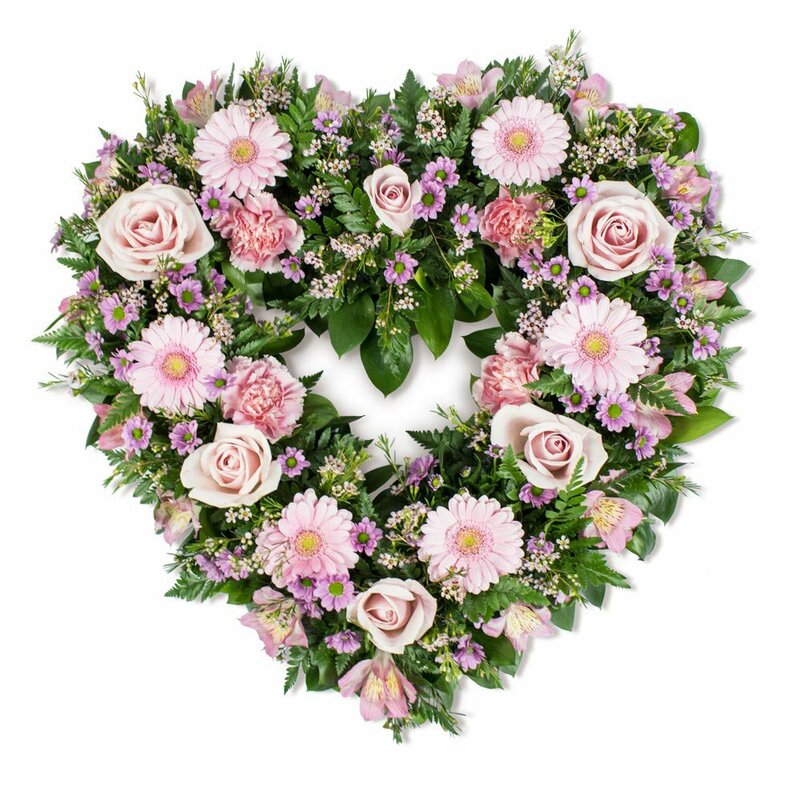 Open Heart in Pink Shades created using roses, germini, alstromeria, chrysanth spray and strong foliages. Flowerscene deliver to Aberdeen and surrounding areas. If preferred this heart is available for collection from our shop.